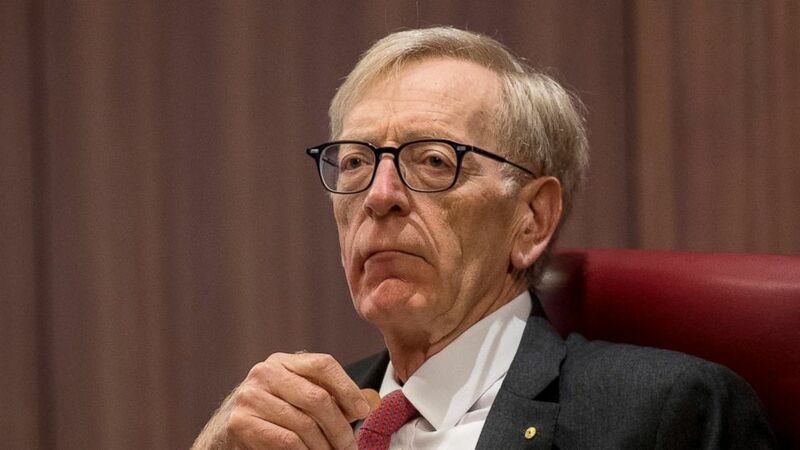 The National Australia Bank's chief executive and chairman announced their resignations on Thursday just days after they were singled out for criticism in a scathing national report on misconduct in the financial sector. The bank's chief Executive, Andrew Thorburn will quit the bank, known as NAB, as of Feb. 28. Its chairman Ken Henry will retire from the board once Thorburn's permanent replacement had been found, the Melbourne-based bank said in a statement. Board director Philip Chronican is to act as chief executive from March 1. Thorburn and Henry both gave evidence to Commissioner Kenneth Hayne in his government-commissioned yearlong misconduct inquiry. On Monday, Hayne recommended sweeping changes to Australia's banking industry to protect the interests of customers as well as shareholders. Thorburn and Henry were the only executives named in Hayne's criticisms of the sector. Hayne questioned whether the pair had learned from his inquiry's exposure of widespread misconduct. "I was not persuaded that NAB is willing to accept the necessary responsibility for deciding, for itself, what is the right thing to do, and then having its staff act accordingly," Hayne wrote. "My fear — that there may be a wide gap between the public face NAB seeks to show and what it does in practice — remains," he added. Henry told Australian Broadcasting Corp. he agreed with Hayne that NAB's desired public image did not match the reality. "There is a big gap. The gap, as I see it, is that NAB does aspire to do the right thing by every customer every time and everywhere. We're a long way from that," Henry said. "We've got an absolute mountain to climb in NAB in order to achieve our aspiration for the bank," he said. Henry said he and Thorburn had jointly agreed to leave to take responsibility for the bank's failings and apologize. NAB is one of Australia's four biggest banks and one of three that are facing investigation for potential criminal and civil law offenses as a result of Hayne's report.